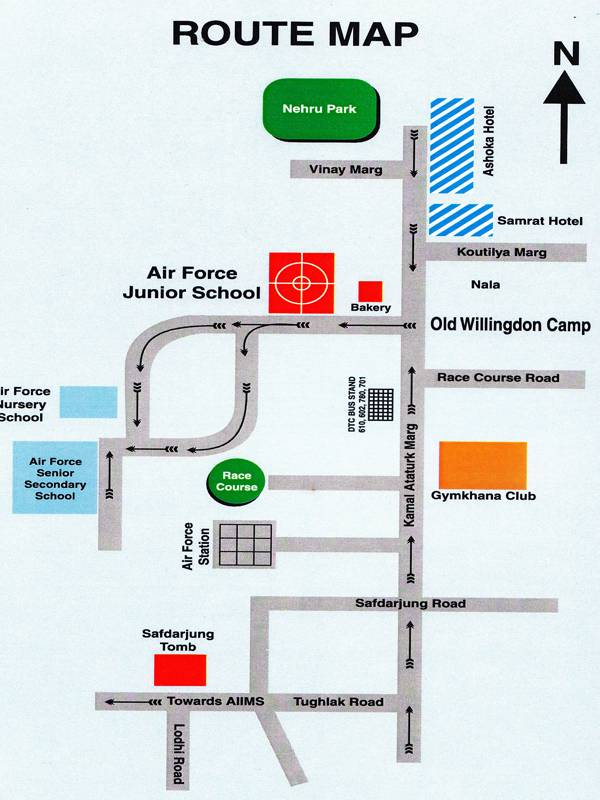 The School is situated in the serine lush green area centrally located inside Old willingdon Camp, Race Course, New Delhi. Being present in the prime location opposite to the Prime Ministers residence it provides a highly secured and safe environment for the students. A Nursery school, senior secondary School and vocational college present in the same campus acts as a gradual natural stepping stone for the students studying here. Important extension Number AF Network NO. Direct No.